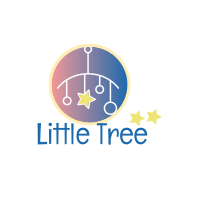 Little Tree is an agency licenced home daycare. We are closely monitored and have unannounced inspection visits every month. We follow highest standards of education and nutrition, therefore proud to be safe and nurturing place for children in our care. We offer balanced and structured schedule. It helps little explorers to build essential skills while having lots of fun. We dance, sing, read, make crafts and enjoy home theatre every day! We learn ABC and 123's through play, which makes cognitive activities more effective. Little Tree Daycare is located on two levels of a townhouse. We have spacious, fully equipped backyard with slides, play house, castle, sandbox, carousel, ride on toys and even vegetable garden. Also, we make regular field trips and walks to nearby parks. Daycare provider has Masters Degree in Psychology and years of experience, providing full time care for kids in daycare centre and home based daycare. CPR and First Aid certified. Police criminal check for all adult family members is provided. We accept children from 12 month to 5 years old.